Last weekend saw me back at the Barbican to enjoy the final cycle of the RSC’s tetralogy of History plays, which began life in October 2013 with Richard II. Although this was the culmination of the London run, I couldn’t ignore such an achievement on this blog and have reviewed both Henry IV and Henry V separately to accompany this reflection on the spectacle as a whole. The King and Country cycle gave audiences the opportunity to delve deeper in to the fabric of four of Shakespeare’s Histories, by seeing them back to back over three days. Although each works as a standalone, seeing them performed as one, with the same actors, set and wonderful musicians added so much more to the viewing experience, perhaps more than I anticipated. This unique way of watching these plays was thrilling, as the pieces slotted together and the wider picture became clear. The development of characters was more profound, particularly Bolingbroke through to King Henry IV and his son Prince Hal, who grows so much to become the King he is by the end of Henry V. The political intrigues and manoeuvres are more obvious and easier to follow; you see Northumberland aid Bolingbroke, Richard predict how he will later turn against his new king, only for this to occur in Henry IV and with Sean Chapman in the role across all the plays, the character had a depth to him which would not have been as evident to the audience on viewing just one instalment. Characters you have heard referred to in one play appear later, making your understanding of their role in the larger picture so much clearer, for example Worcester, who we hear Harry Percy speak of in Richard II and then meet in Henry IV as he takes his place in rebellion with his nephew. In the case of Aumerle (who became the Duke of York on the death of his father), he disappears from the story, but the moment the Duke of Exeter describes his death on the battlefield at Agincourt in Henry V has an extra level of poignancy when only two days before you saw the tragic arc of his character in Richard II. The use of imagery across the cycle is also very clever, with the audience spotting echoes of earlier moments in the history in later plays. One example that stood out for me was when Falstaff and Shadow in Henry IV mirrored the image of Bolingbroke and Richard holding either side of the crown. Then there is the simple image of each new king seated on the same throne, which when watched in so short a space of time highlights the transient nature of the crown during this period in our history. Some of the casting choices also resulted in wonderful imagery, such as Matthew Needham in Henry IV Part II playing Mowbray, who is standing next to the Archbishop of York as he reflects on the death of their brave Hotspur. It seems to emphasise the spirit of Harry Percy having Needham in that role. It’s also lovely to bookend the cycle with Jane Lapotaire on the stage – at the start in mourning, all in black and at the end as Queen Isobel in a light grey gown in happier times. Then of course there are the recurring references to the death of Richard, with Henry V still trying to atone for his father’s earlier actions years later. So many of these moments resonated much more when seeing the whole story told as one. Jane Lapotaire bookends the cycle. Here as Queen Isobel with Simon Thorp & Alex Hassell. One of the other thrilling aspects of the King and Country cycle for me was watching all the hard work and dedication of the ensemble come together. Having seen all of the plays in their original stand-alone runs, you see how much they have all developed their performances, but also their confidence as actors, particularly the younger members of the company. This was one of the highlights of the 2008/2009 RSC ensemble and is something I haven’t been as excited about since then. When you also remember that most of the company is playing at least one understudy role in each play, the level of their skill and commitment to the project is even more incredible. It’s fantastic to see such young talents at the early stage of their careers and imagine all the roles that you may see them perform in the future. Olly Rix stood out in the original Richard II run (in fact he impressed me much more than David Tennant during those early performances of that production in Stratford-Upon-Avon). Matthew Needham has joined in these later stages of the cycle and commanded his scenes as Hotspur in Henry IV, as well as making that character much more of a presence in Richard II. The first trio of Bushey, Bagot and Greene (Sam Marks, Jake Mann and Marcus Griffiths) had a whole run to finesse their roles and it’s a shame Martin Bassindale, Nichols Gerard-Martin, and Robert Gilbert don’t have as long. However, each of these actors gives strong performances across the cycle as a whole and I particularly enjoyed Gilbert’s Greene in Richard II and Bassindale’s Boy and Gerard-Martin’s Orleans in Henry V.
Of the original trio of Richard’s flatterers only Sam Marks remains and he became a firm favourite for me from this company. Sam has grown so much over the last two and a half years at the RSC, resulting in confident, developed, nuanced performances in every role he has in the cycle. His Aumerle is a match for Olly’s, bringing his sense of conflict to the fore much more and creating with Tennant an even more emotional connection between their two characters (something I really didn’t think was possible). Poins remains a lovely sidekick to the partying Prince Hal and their friendship feels genuine and warm and his Constable of France is also a strong presence, who you feel sorry didn’t survive the battle (or I did anyway)! I genuinely cannot wait to see what projects these actors move on to next, but I’ll certainly be buying tickets. It is a unique aspect of the RSC’s company approach that has helped foster such talent with Ed Bennett, Sam Alexander, Mariah Gale, Jonjo O’Neill, Alex Waldmann and Pippa Nixon being actors I now make a concerted effort to see in every role after watching them on stage in Stratford-Upon-Avon. I realise that people who didn’t experience the King and Country cycle, or who perhaps haven’t yet appreciated how special Shakespeare can be, will find the idea of four plays in three days an effort. For me however, I loved every moment of this very special project and would have happily stayed on for The War of the Roses tetralogy had that been an option. I’ll have to make do with series two of the BBC’s Hollow Crown for this in April! 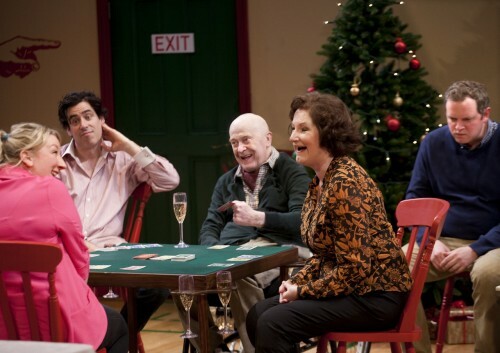 Although the UK run of the cycle is over now, the plays are off on an international tour. Henry IV and V can be seen next (albeit with some slight shuffling of the cast for this leg of the tour) in China, first in Beijing, then Shanghai and then Hong Kong. They will then be joined by Richard II in New York at the Brooklyn Academy of Music. I am thrilled to be going to the final New York cycle in April to enjoy them all one last time and if you are able to go yourself, I would certainly recommend you buying tickets for the tour too! For further information on the international King and Country tour visit the website here. Richard II and Henry IV, as filmed in Stratford-Upon-Avon, are available on DVD from the RSC shop and the usual stockists. Henry V will be available in due course. Last week saw me return to the Barbican to see Henry IV (which I’d first seen in Stratford-Upon-Avon and then again at the Barbican a year ago). Now back as part of the King and Country cycle I was looking forward to seeing it again. I’ve written at length on this blog about the RSC’s Richard II (click on the tag Richard II for all posts), but in terms of the other plays of the cycle, it was Henry IV that I enjoyed so much more this time around. My overall thoughts on the cycle as a whole will appear in a separate post within the next day. Antony Sher’s Falstaff, although very good, hadn’t captured my attention and emotion in the same way as Roger Allam had, but on this run I found his performance so much stronger. The voice he uses for Falstaff (which I admit I did find a bit OTT) had been taken down a notch or two and it was a much more settled performance, which I actually very much enjoyed. He still has a lovely relationship with Alex Hassell’s Prince Hal, especially early on and the playful jokes between him, Hal and Poins were lovely to see again. You do indeed see the Eastcheap gang as a family and perhaps understand why Hal enjoys being part of it rather than the Court. This makes the end of Part II all the more poignant as Hal turns away from his former life and his dear friend. Sher’s “I will be sent for” was so sad, as you sense that perhaps even Falstaff knows that’s a lie. The other key character within Part I has to be Hotspur and although Trevor White’s manic, bleach-blonde performance was certainly different, it did grate on me after a while and I preferred Matthew Needham’s portrayal of this young man through Richard II and Henry IV Part I, which I thought was fantastic. He was able to convey the moments of humour, anger and frustration perfectly, resulting in the audience (or certainly me anyway) liking him and admiring his courage and bravery – putting him in stark contrast to the revelling Prince Hal. This added a different dimension to their final confrontation and it was thrilling to see these two men sword to sword. You yearn for circumstances to be different between these them, here set on opposing trajectories, as you can imagine how perhaps they could have been a great source of strength for each other had they been on the same side. Having seen Needham on stage previously in comedy The Knight of the Burning Pestle at the Sam Wanamaker Playhouse (and on crutches no less after an injury) I knew he’d be a great addition to the ensemble and he certainly didn’t disappoint. Sarah Parks also gave a wonderful Mistress Quickly and Emma King’s Doll was a feisty Scottish lass, whose scene with Anthony Byrne’s Pistol was great fun. I’m still not a huge fan of Henry IV Part II, but I really enjoyed it on Saturday. It was funny, but not ridiculous and the growing ill health of the King was perfectly captured by Jasper Britton, whose final speech was a key, stand-out moment of the weekend, particularly after you as an audience has travelled with that character over two days through from being Bolingbroke to the dying King Henry. Playing Bolingbroke has certainly enhanced his approach to Henry IV and seeing his decline from confident rebel to weak, dying man was particularly poignant during the cycle. Britton’s wonderful, fatherly relationship with Needham’s Hotspur in Richard II highlighted the distance between him and his own son at the start of Henry IV and seeing them side by side on his deathbed in Part II, at last with an affection that they may never really have had was delicately played by both Britton and Hassell. My main reason for never enjoying Part II as much as Part I is the interlude away from the main plot to see Falstaff’s visits to Shadow and Silence and on previous visits to this production, as much as I love Oliver Ford Davies and Jim Hooper, it still didn’t really appeal to me. However, as part of the cycle experience they felt like light relief in a much broader way and were much more enjoyable during this viewing. I still don’t think they serve much purpose and for me the play wouldn’t suffer from their absence, but the actors were on fine form on Saturday. I also appreciated the moment Falstaff and Shadow mirrored Bolingbroke and Richard holding either side of the crown. It was a moment I would only ever have picked up on by watching the whole cycle as one. Another favourite of these productions was Sam Marks’ Ned Poins, who although in Henry IV for only a few scenes, captures the closeness and brotherly affection between him and Hal and the banter and fun of their world, draws the audience in. This only makes it a little more sad to be aware that such frivolity will clearly never last once Hal becomes King. Credit also needs to go to Emma King as Lady Mortimer, whose ability to speak and sing with such emotion in Welsh was incredibly impressive. Overall, although it’s still my least favourite of the three stories of the cycle, I thoroughly enjoyed this visit to this production, much more so than before and it paved the way wonderfully for Henry V.
Henry IV Parts 1 and 2 can next be seen in China and then New York as part of the King and Country tour. Details can be found here. For those who missed the shows in the UK, an earlier 2014 performance was filmed and is available to buy on DVD from the RSC and all the usual retailers. Saturday morning saw me back at the Barbican. 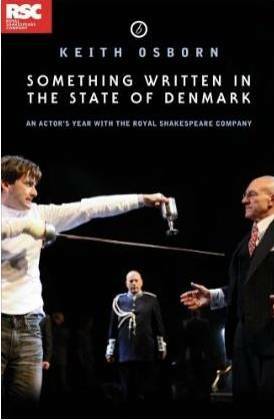 Not for a play this time, but for the last of the RSC’s King & Country talks in the Frobisher Auditorium, to listen to David Tennant and Jonathan Slinger talk about their experiences playing Richard II for the RSC. It was a truly insightful and thoroughly interesting hour, which could have gone on much longer as these fine actors talked about this particular role. I’ve tried to capture in this post the questions and answers given during the discussion, for those unable to attend. Moderator Emma Smith did mention that the event was being recorded for the RSC’s archive. If I can find out any more details of that I’ll update this post. Richard II in the context of the other History plays? Jonathan Slinger (“JS”), played Richard II for the RSC during Michael Boyd’s Histories Cycle in 2007/2008. 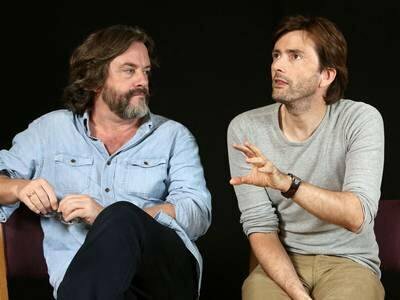 He spoke of approaching the role, with the knowledge that the company were going to do all eight Histories together and that he would be book ending them, playing both Richard II and Richard III. For him the play works as a standalone, as do most of the Histories, but that there is a narrative running through them all as well and by doing them all they were able to draw out the echoes and narratives of the whole piece. 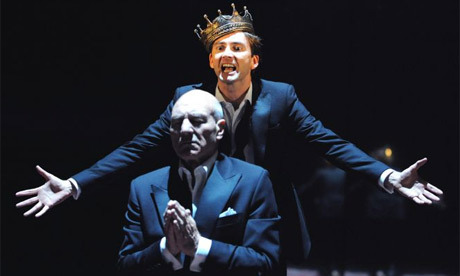 David Tennant (“DT”) has had the opposite experience, as he approached Richard II as very much a standalone piece. It was Greg Doran’s first production as Artistic Director and had been mounted as a standalone, so he didn’t have to get in to the greater context too much. He spoke of returning to the role now, two years later, remounting it so that it fits in to the other plays of the cycle and how he is now more aware of the moments where Richard II casts forward to the other plays, such as the moment Richard speaks to Northumberland, foreshadowing the events of Henry IV Part One. Working with the play’s reliance on the history that has come before it? 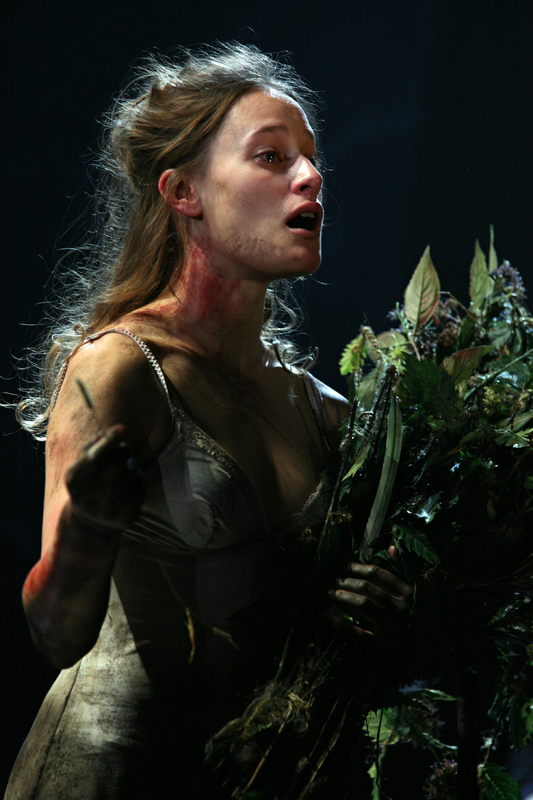 DT said how he had always loved the play, but that he’d never really understood the beginning – who was dead? why? what are the undercurrents at work? He agreed that it is not set out, so it’s tricky to understand and also hard to help the audience understand what’s going on and the political world they are in. 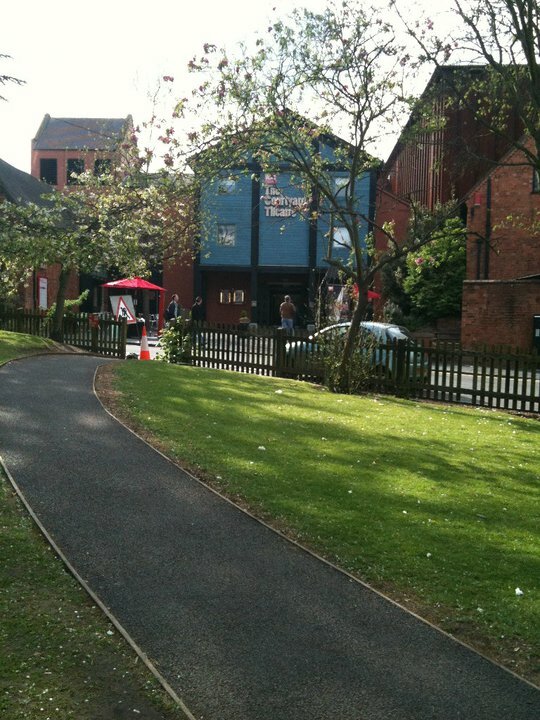 The lightbulb moment for the current RSC production, he said, was deciding to put the dead body of Gloucester in the centre of the opening scene and have that happen at his funeral. This also highlights the inappropriateness of Richard’s behaviour, thinking that they should sort out this disagreement at the funeral speaking to his personality! JS described their staging of the opening in his production. 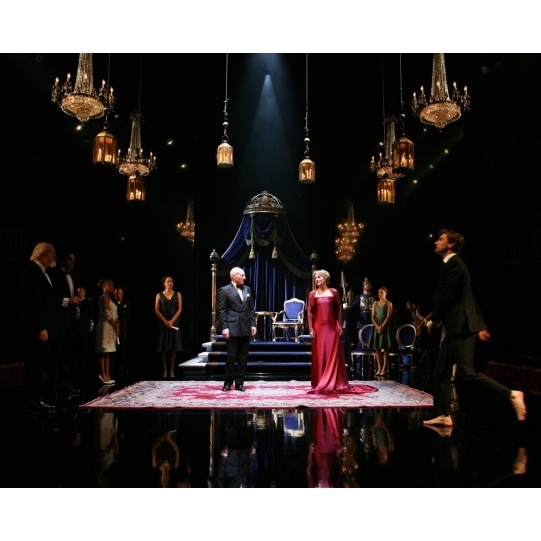 They too had the body on stage, but the actual body, which he (as Richard) steps over to get to the throne. Mowbray and Bolingbroke then entered the stage and the “ghost” of Gloucester stood up and eyeballed Mowbray. He said this was perhaps more subtle than the current production (which he admitted he hadn’t seen). 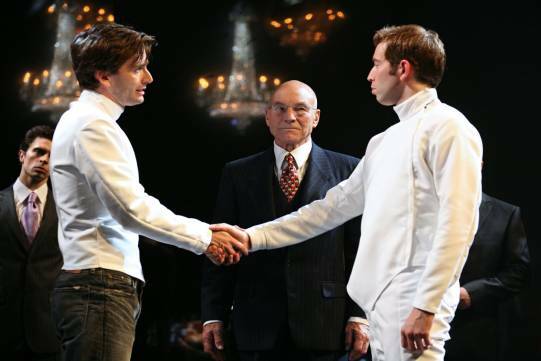 Both actors also spoke about the earlier play Thomas of Woodstock, which it’s believed the people at the time were very much aware of and therefore knew the backstory without it being in Shakespeare’s play, although DT thought it was an odd omission by Shakespeare, who doesn’t normally make the context so obscure. Costumes and how they helped get in to character? JS explained that his Histories cycle was done in full Elizabethan costume, in reference to the fact that Elizabeth I is known to have recognised herself in the character of Richard II. He also thought that the vain, superficial image of Richard fitted that costume and described how the costume and makeup were gradually stripped away, as Richard goes from a lack of self awareness to full self knowledge, as he loses all material wealth and possessions. DT said he found the fact that Richard had been born to be King and been crowned when still a boy interesting. Richard has never been in a world where he has had to conform. Therefore the way he acts is always correct as no one will challenge him, for example no one would ever say to him “Cut your bloody hair!”. So he can have long hair, have gold gilded on his fingernails etc. as that sets him apart from everyone else. He also spoke about how the long hair was also useful to play on the Christ-like image later (“in his white nightie”!). Richard as a tragic character? Emma Smith posed the question to DT and JS as to whether Richard is like an actor, playing a part all the time. Both actors didn’t think this was the case, not believing that Richard thinks he is performing. JS spoke of Richard’s chronic insecurity, resulting in him perhaps creating a persona and that you could argue that that persona runs skin deep. He did also refer to Richard’s belief in his divine right to rule, but how once pricked in the beach scene, this so quickly collapses, making you wonder just how much Richard did really believe this! He agreed with DT that Richard doesn’t think he is performing, although queried whether by the end of the play he realises this, as he speaks the line “Thus play I in one prison many people”. JS was able to brilliantly recite the speech from the prison, earning a round of applause. As Richard II is his favourite play he said that it had stayed with him. DT commented on Richard being forced in to a realisation once God doesn’t turn up to fight for him. He said it must have been terrible to realise this when you have always thought the angels would literally come down from on high and then they don’t. The deposition scene in DT’s view is where Richard knows he has to fight his own battle- he has complete control of the room and there is a tragedy in that. He only realises how powerful he is when he has lost it all and that scene for DT is an example of great leadership. The actors also spoke about Richard’s lineage, being the son of the Black Prince, who was the Henry V of his day. He was a warrior and it made JS wonder to what extent did Richard grow up with an impossible father to follow and that he comes up short because he cannot live up to him. He spoke about Richard going for the superficial aspects of being King, but not the substance as that wasn’t really who he was. DT also referred to it being Richard who had come up with the title of “Highness”, literally elevating himself above others. They also both spoke about the deposition scene and how in it Richard is showing them all what they are choosing over him – choosing Bolingbroke over a true King and how in that scene Richard realises that he is losing everything, not just the crown, highlighted by the line “I have no name.” He is literally nothing if not King. DT spoke about Richard’s relationship with Aumerle (my favourite aspect of the current production). He said how this seems to be the only real human relationship he has ever had and that it is this that gives him the strength to surrender at Flint Castle. With that strength he is able to undermine Bolingbroke and shame his court, which lays the basis for the troubles he experiences in the next play of the cycle. They also discussed the possible similarities between Richard and Bolingbroke and spoke of the 1973 RSC production in which Ian Richardson and Richard Pasco alternated the roles to draw out similarities between them. In their current production, DT said they had chosen the opposite – Richard and Bolingbroke are very much opposites – like fire and water (referenced in Bolingbroke’s speech at Flint Castle). For DT, it makes more sense this way. JS said he’d never seen a production staged like that 1973 one, but could see how it would be effective in emphasising the acuteness of betrayal if such a closeness had been set up. 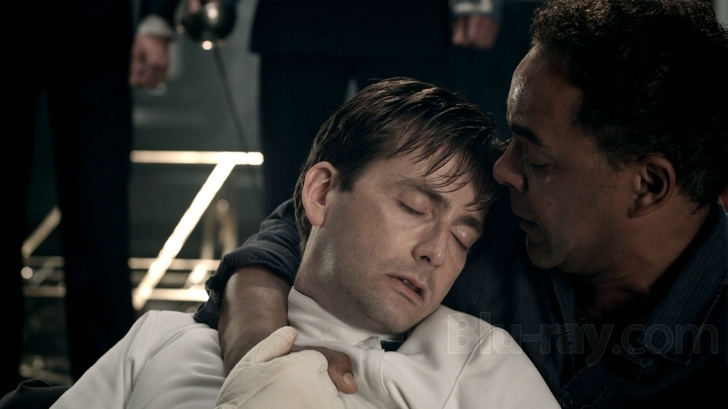 One of the saddest scenes for JS was the scene in which Richard says farewell to his Queen. He’d always had the sense that she had been shunted around in favour of Richard’s yes-men, when actually she was the only person determined to wait for him on his way to prison. You see her loyalty and her deep affection for him and he thought this played in to Richard’s growing realisations as he sees how important she was on the way to his death. She was another thing he had wasted – the line “I wasted time” in the prison represents so much – people he should have been intimate with, things he should have done. For JS it was always a very sad scene. DT commented on the fact that in reality Richard’s Queen at that time had been a child, being a marriage very much for political advantage, but that it’s believed that Richard’s first marriage was one of great love (the two are in fact buried next to each other). DT spoke of the difficulties of playing this relationship, as Shakespeare makes the Queen an adult, includes her in the play, but then doesn’t really utilise her. He found it the hardest scene in rehearsals, as the company tried to understand why the Queen was there and what the purpose of the scene was and that he liked JS’s view on it. DT also said how he felt sorry for both actresses who had played the Queen in this production (Emma Hamilton and now Leigh Quinn), as he spends hours ignoring her and then about 10:30 p.m, just goes “Oh go to France!”. He finds it sad that Richard can’t quite connect with her. The politics of the play today, when there isn’t a belief in the divine right? JS commented that the play introduces the idea that deposition is something that can happen and that such an idea is still current in our daily lives and therefore this makes Richard II as a play very relevant. DT referred to how the play is about the delusions of power and how that can fall apart, which is still something in today’s world. He used the example of North Korea, which though not a divine right is still an example of someone ruling without challenge. JS also jokingly referred to Simon Cowell (who, DT joked could never be deposed!). Did Shakespeare have to write Henry IV and Henry V afterwards to get back in to favour? Both actors agreed that it was impossible to know as these events happened hundreds of years ago. DT did comment on how great Henry V is and said he was uncertain that Richard II was actually written by Shakespeare to be a critique of Elizabeth I. That was certainly how it was taken at the time, but he was not convinced that that was Shakespeare’s actual intention when writing it. Emma Smith commented on how the Histories are about the anxieties of regime change, written at a time when it was uncertain who would follow Elizabeth I / what would happen on her death. She noted how there were no more such plays once the new monarch took the throne. How much of their performance was influenced by Shakespeare’s interpretation of history and by their own understanding of it? JS talked about having researched the backstory of Richard and the Black Prince, which he used to assist with his interpretation, for example how Richard handled the peasant’s revolt. He said however that if you stuck too rigidly to history you would go mad! DT agreed that, as with anything based on real people, you have to respect the topic enough, but have to also respect the script and the story you are telling. As Richard II was written before most of the tragedies, how much do they think it informed Shakespeare’s later writing of tragedies? DT said that that was a very difficult question to answer. He did say that he thought Shakespeare enjoyed writing Richard and seems energised by the character. JS’s view was that Shakespeare reached the pinnacle in writing a tragic character with Richard, using the example of Richard III, which he said, although a great character to play, is someone with nowhere near as much complexity. DT’s favourite scene is the deposition scene, as it is where Richard finally finds himself and gets to own them all for a few moments. He compared it to an aria, with Richard showing them exactly what they’ve lost. 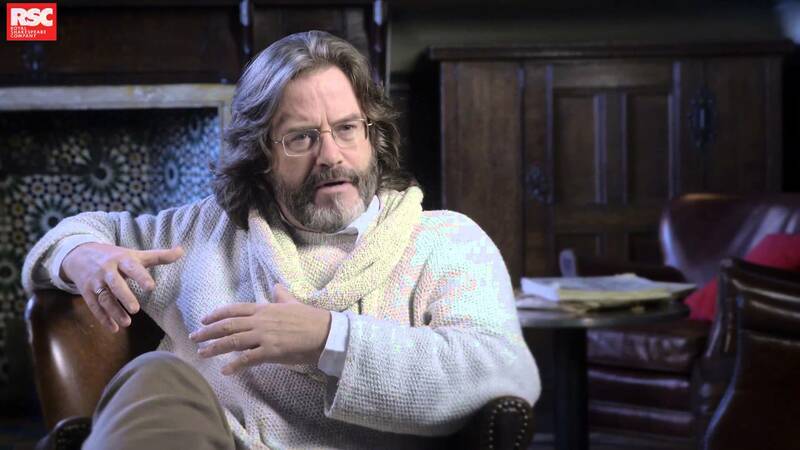 JS also enjoyed the deposition scene, but his favourite is the prison scene, particularly Richard’s monologue in it, which he thinks is arguably Shakespeare’s greatest monologue. The question had also asked whether they preferred playing Richard or Hamlet (as both actors have played both parts for the RSC), but neither answered this. Do they think Richard is afraid during the play? JS thought that Richard is actually most afraid at the start of the play when he is trying to keep all the plates spinning. Yes, he is scared as he loses everything, but in that he also finds strength. 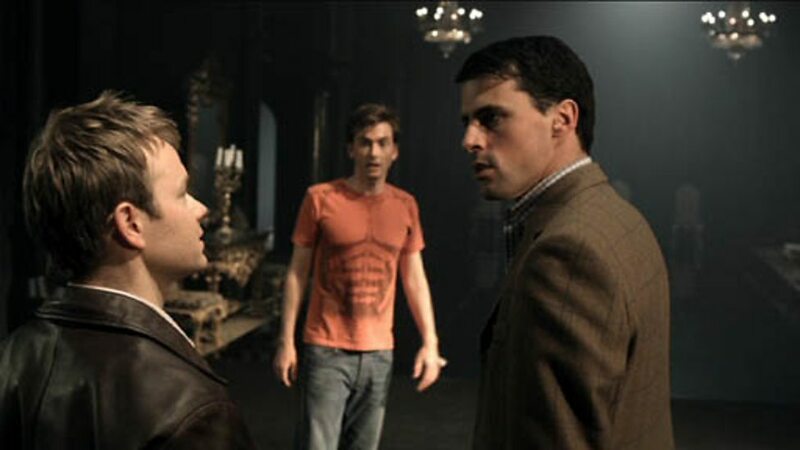 DT referred to the moment in the first scene when people don’t do as Richard tells them. He thinks he will tell Bolingbroke and Mowbray to make peace and then that will be that. When they don’t choose to throw down their gage’s and want to defend their honour instead of obeying his command it all starts to go wrong for Richard. In DT’s view, after that there is a mounting fear for Richard, as once God’s deputy on earth stops being treated as such, then it’s only really a matter of time until it ends. Sadly that was all there was time for during this event. I think everyone attending the talk could have happily stayed there and listened to these actors’s thoughts on the play and these characters all day! I certainly hope the RSC continues to hold these talks and if possible schedules even more of them, as they are a superb way for you to really have the chance to dig deeper in to these plays, with the help of the actors who so skilfully bring them to life on stage. 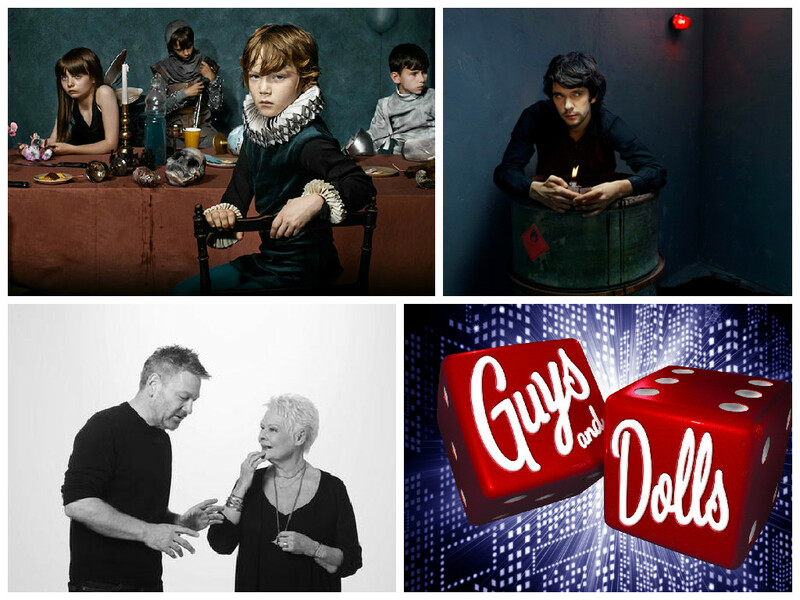 So, as we arrive in the second half of 2015, I thought I’d take a moment or two to reflect on the first half of the year’s theatre offerings. 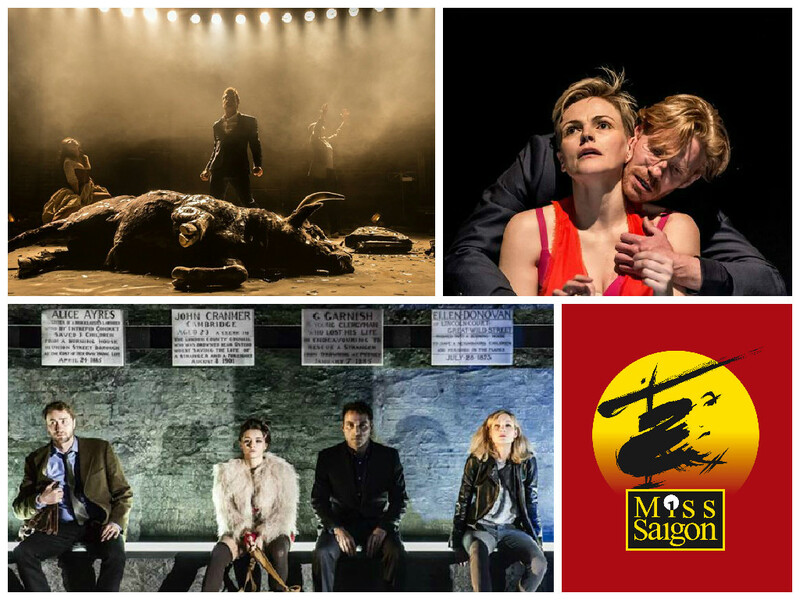 I’ve probably seen less than I expected to, but 2015 is already shaping up to be a superb year for theatre, with some truly impressive productions and performances already on the list. I’m predicting my end of year top 10 review is going to be a tough one this year! So, starting with the stats, I’ve currently seen 35 productions this year, seeing three of those more than once. As my post looking ahead to the year’s theatre suggested, there was lots to look forward to and from those I’ve already ticked off the list, 2015 certainly isn’t disappointing me so far. Some of the highlights are ones I expected to be high on the list, while others were unexpected gems that struck a cord with me and will become firm favourites for years to come. 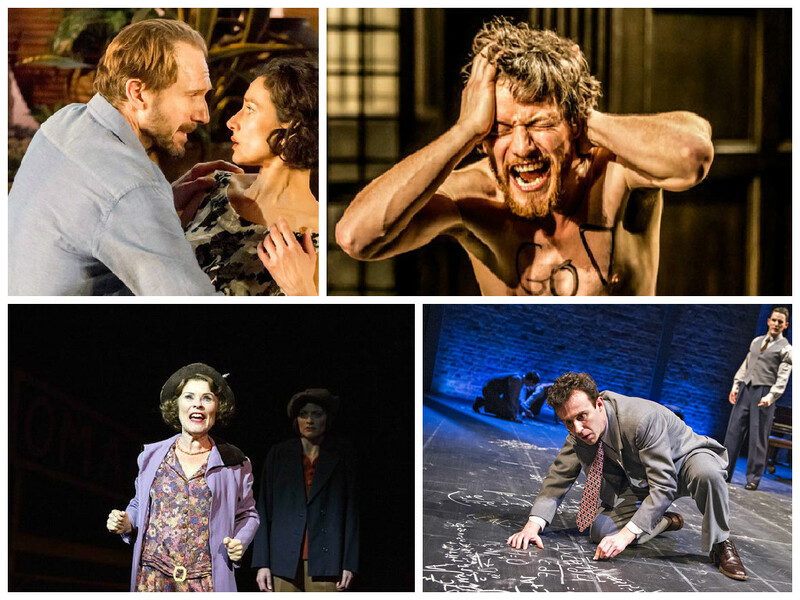 So here are my favourite productions and performances from the year so far, as well as the disappointments (thankfully not many so far). Starting with the top of the tree are the productions that I absolutely loved and which will almost certainly make it in to my end of year top 10 list. It’s a varied mix, with new material, revivals of classics and a musical. This may be an unexpected number one, but so far for me it’s easily Hello/Goodbye. Peter Souter’s new play ran at the Hampstead Theatre for a relatively short run last year and after missing it then I’m so pleased I caught it in the main space. In fact I loved it so much, I had to see it more than once. I knew nothing of the plot beforehand and its simple story of a couple’s relationship over a decade, told in two acts, struck a chord with me. Shaun Evans and Miranda Raison had a wonderful chemistry, thrown together when they both come to move in to the same flat. The script was witty, heartfelt, filled with unexpected curves in storyline and by the end I felt rather moved, as you were reminded of how the simplest of gestures are sometimes the most powerful. Read my full review here. This production of probably my favourite Shakespeare comedy become the best version of the play I’d seen immediately (sorry David Tennant!). The RSC is hard to beat when it comes to Shakespeare and this was certainly a production through which the home of the Bard truly shone. Bringing back some alumni from the 2008 season in the form of Ed Bennett and Sam Alexander (still two of my favourite actors), we were treated to a Much Ado set at the close of Word War One, in a stately home being used a hospital during the war. As the soldiers return from the Front, Beatrice and Benedick meet and sparks fly. Ed Bennett has truly grown as an actor over the years. 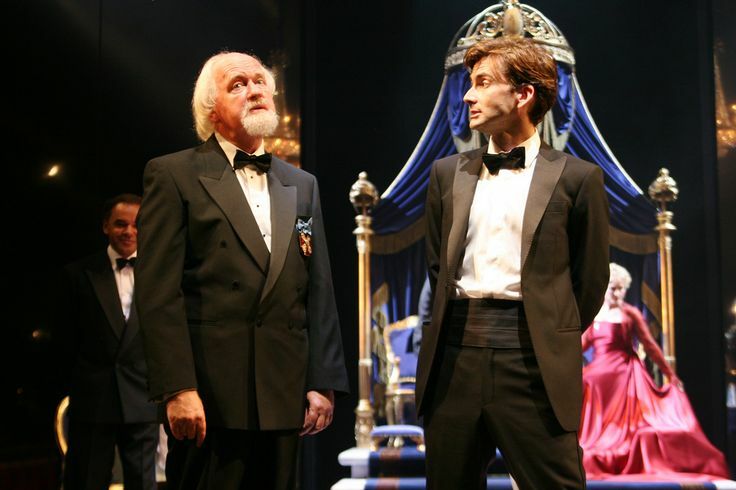 As someone who was sitting tensely in the Novello during press night of Hamlet in 2008 when he took over for Mr Tennant, it’s been lovely to watch him develop and he is now a truly wonderful leading man and was a superb Benedick. Together with his sparkling chemistry with Michelle Terry, a strong ensemble (Sam Alexander creating the most three-dimensional Don John I’ve seen), wonderful music and an utterly gorgeous set that I could have lived in, this was a heartwarming three hours in Stratford-Upon-Avon. For those who missed it (it’s criminal there was no London run), the DVD on this and the equally lovely Love’s Labour’s Lost will be out later in the year. Read my full review here. This revival of this musical at the Donmar Warehouse was another superb night at the theatre. The setting, both within the real world and the pages of the writer’s script was quirky and brought to life brilliantly by the design team, with the use of black and white/colour to depict them such an effective choice. It also had one of the strongest vocal ensembles I can imagine, with Rosalie Craig, Hadley Fraser, Tam Matu, Katherine Kelly and Samantha Barks to name just a handful, delivering perfect acting and singing. I’m still sad there was no West End run, not to mention no soundtrack released. Jamie Lloyd’s second Trafalgar Transformed season continued with the return of James McAvoy, easily one of the best young British actors around at the moment. I had high expectations for this, which were only raised once the reviews and opinions of friends reached me. Thankfully The Ruling Class didn’t disappoint. It was very very funny, sometimes inappropriately so, entertaining, but also quite dark in places. All of which was driven at 100 miles an hour by McAvoy’s incredible performance. The part called upon him to give everything, mentally and physically – he sang, danced, screamed, cried, laughed and as an audience member you just couldn’t take your attention from him. Read my full review here. 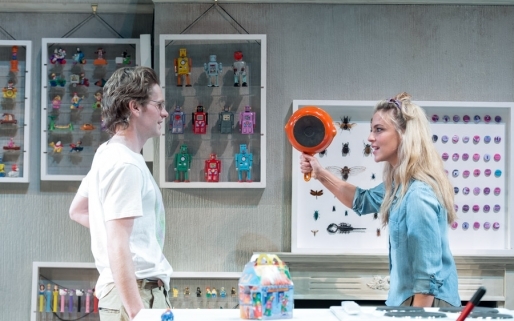 Having just ended at the National Theatre, Rules For Living was a new play by Sam Holcroft, which wonderfully lays bare the dynamics of a family during Christmas Day. Rivalries become apparent, secrets are exposed and relationships become ever strained, all the while presented in this colourful, gameshow style set up, in which the audience gain an insight in to the psyches of the characters and the rules by which they live their lives. It has drama and awkwardness, but my lasting memory of this production was laughter, which I very much needed at the time and it’s final scenes are classics that I’ll remember for a long time. Read my full review here. One of my highlights of 2014 was Daniel Kitson’s Analog.ue and this new play of his at the Old Vic was an early favourite of this year. 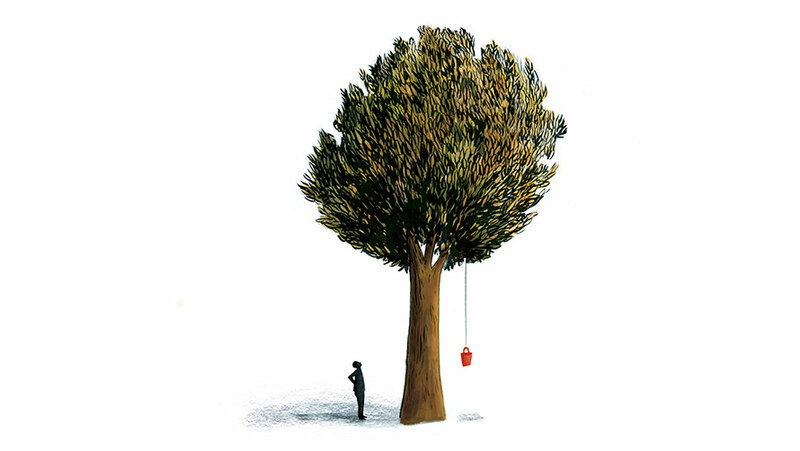 A two hander between Kitson and Tim Key, this play sees two men discuss life, with one remaining up a tree throughout! Short and sweet. I loved every moment. Read my full review here. Stand out performances of the year so far As well as productions, there have already been some impressive individual performances. 1. 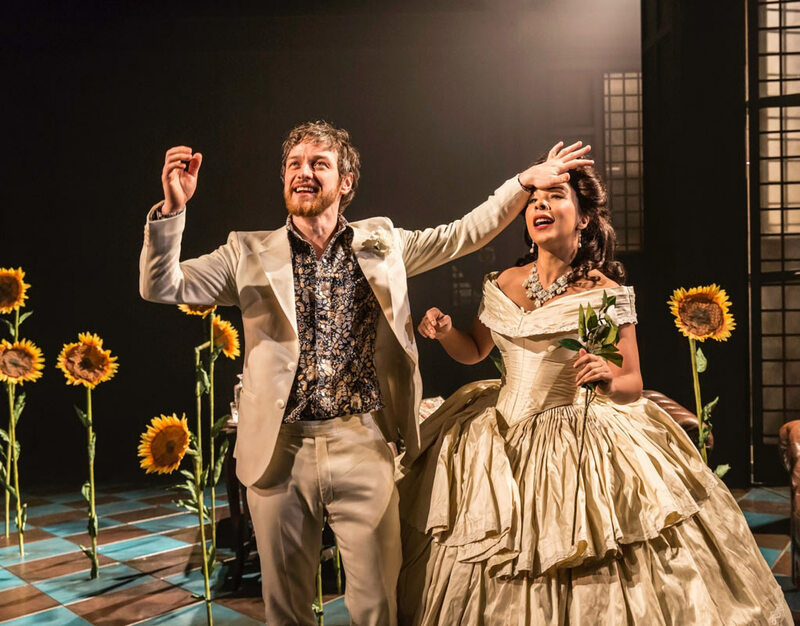 James McAvoy in The Ruling Class I’ve already sang McAvoy’s praises above so there’s not much more I can add here. The cast as a whole was excellent in The Ruling Class, but McAvoy was spectacular. 2. John Heffernan in Oppenheimer A play about the history of the creation of the first atomic bomb may not immediately sound like a fun night at the theatre, but this RSC play managed to bring what could have been quite a dry, scientific story to the stage in an engaging and entertaining way (you can read my full review here). This was in no small way also helped by the utterly brilliant John Heffernan in the title role, whose performance of Oppenheimer was his most commanding role to date and his final speech at the play’s close, as his character reflects on his achievement was certainly very powerful to witness. 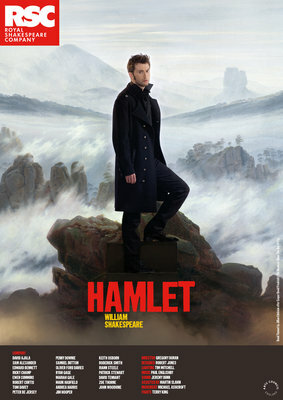 His career continues to excite and I am eagerly awaiting his next role – Hamlet anyone? 3. Imelda Staunton in Gypsy I was lucky enough to see Imelda Staunton’s award-winning performance in Sweeney Todd and thought I’d seen her at her best. How wrong I was! 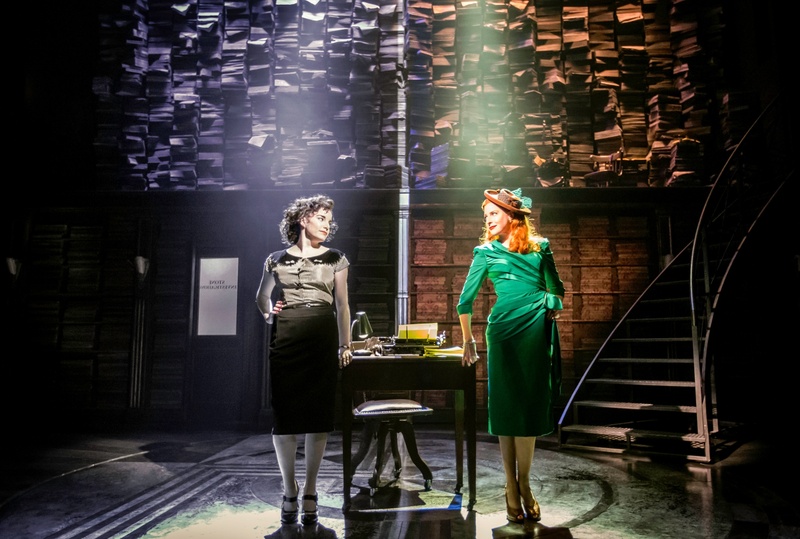 The transfer of Chichester’s musical to the Savoy in London was a welcome one and you couldn’t fail to be impressed by Imelda’s performance as Mamma Rose. She isn’t a hugely likeable person, domineering and putting ever more pressure on her children, to fuel her own lost ambitions. However, you still can’t help but admire her strength and passion and hearing Imelda Staunton belt out those songs will stay with me for a long time to come. Book your tickets while you can! Read my full review here. 4. Ralph Fiennes in Man & Superman This revival of Bernard Shaw’s play intimidated me beforehand due to its lengthy running time (nearer 4 hours in the early days). It was certainly a strange play, shifting between one setting and the dream-like setting of hell for the third act and it certainly needed a strong actor in the lead role. Ralph Fiennes is someone I’ve always wanted to see on stage and this was certainly a good start, as he’s in almost every scene. How he remembered so much dialogue, most of which he delivered at rapid pace, I do not know! As someone who was in the audience for the night filmed live for NT:Live, it was perhaps even more impressive to witness Mr Fiennes bringing such a unique role to life. There have also already been some wonderful moments on stage this year, whether a set, a scene or a line and here are my favourites. The drum revolve of the Olivier stage was used to its full potential during this production, as we watched the entire ship rise up and through the cross section design, were able to see the rooms on all the levels. It was truly impressive. I saw this production recently (review on its way) and one thing that will stay in the mind is some of the incredibly colourful dialogue! A scene in which Veronica refers to Jackie’s mother is particularly memorable. I bet the play text makes for entertaining reading! Another production I’ve seen recently was Patrick Marber’s latest football-related play at the National. I’m currently writing my review but suffice to say I thought it was a superb production, powerfully acted. However it was the final few moments of the play that will stay with me for, I imagine, quite some time. Go if you can. There always tend to be some disappointments, but so far there haven’t been too many this year. Other than the first one listed, I enjoyed aspects of the other three, whether the acting or the production values, but these are currently bottom of the pile for 2015. 1. How To Hold Your Breath (Royal Court Theatre) I love Maxine Peake and she was the reason I booked this play. I don’t regret it in some ways as she was very good. However, as my review at the time made clear, this was simply not my cup of tea. From the moment early on, when a simple one night stand becomes a case of someone sleeping with a demon, I knew I was going to struggle to enjoy it. Although I can appreciate what it was trying to achieve, it was simply too strange for me. 2. Carmen Disruption (Almeida Theatre) I’ve loved the recent run of Almeida productions (Mr Burns aside), but Simon Stephens’s reimagining of Carmen was another let down for me. At least unlike How To Hold Your Breath, I did enjoy aspects of the play – some wonderful performances by Jack Farthing and Noma Dumezweni as one example, but overall it just didn’t work as a whole and I left feeling quite dissatisfied. 3. Closer (Donmar Warehouse) I was unfamiliar with Patrick Marber’s most successful play, having never seen it or watched the film and perhaps part of my disappointment stems from expecting too much to begin with. 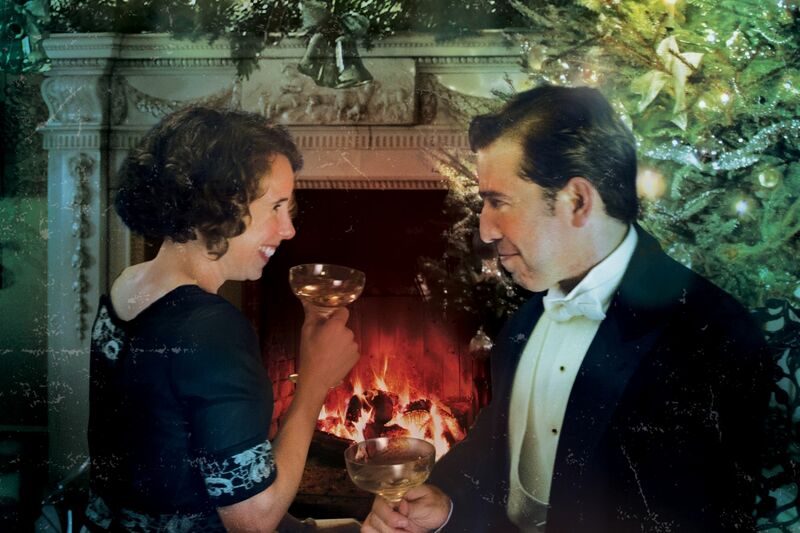 The cast was my reason for booking, with Rufus Sewell, Oliver Chris and the glorious Nancy Carroll too good to miss. Although the cast was very good, I just didn’t really enjoy the play. Perhaps I was in the wrong mood on the day I went as it’s rather dismal view of relationships wasn’t something I particularly enjoyed. 4. Miss Saigon (Prince of Edward Theatre) So many people say Miss Saigon is the greatest musical of all time. I simply can’t agree (I doubt anything will beat Les Miserables for me). Although the sets were fantastic and the vocal performance of Eva Noblezada as Kim was incredibly impressive, I did not like the story at all. I found over night falling in love of Kim and Chris unconvincing and unlike Les Miserables ultimate message of hope, forgiveness and love, I just found Miss Saigon to be a depressing tale of a woman used by a man, who then is too much of a coward to face the consequences of his actions. Add to that the lack of any truly memorable songs (for me anyway) and it’s not one I’ll rush back to. Looking ahead – Coming up during the rest of 2015! After looking back, the adventure of a theatregoer never ends, with new productions opening and being announced all the time. 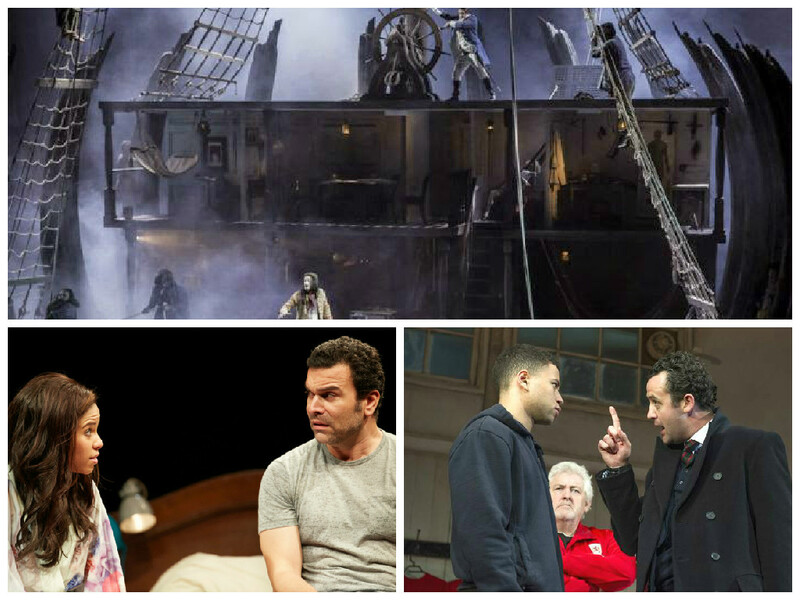 So, it’s only right to look to what productions are on the horizon. It’s always an exciting feeling to wonder which ones will be as brilliant as you hope and which will be so much more than you could have anticipated. There is certainly a lot to choose from coming up, but for me, these are the productions I’m most excited or curious about seeing over the next few months. Yes, it may be the obvious choice for number one, but I’m very much looking forward to seeing Mr Cumberbatch take on the iconic role of Hamlet next month at the Barbican. It’s probably my favourite Shakespeare play and he has been one of my favourite actors for years, especially on stage. It’s an exciting ensemble cast (although it’s a shame none of my fantasy cast made the cut!) and I admit to having high hopes. All fingers are crossed! Coming soon to the Almeida is their next Greek play, bringing the combination of Ben Whishaw and Bertie Carvel together on stage. The Almeida has been bringing some truly inventive and exciting productions to London since Rupert Goold took charge and I’m sure this will be another success. More tickets go on sale soon. I missed this in Chichester and therefore I’m thrilled it’s transferring to the Savoy in December. The cast is yet to be announced, but I sincerely hope some of the Chichester cast come on board for this run. Time will tell. This is perhaps the production from Kenneth Branagh’s season that I am most looking forward to. Opening in October, this production of Shakespeare’s The Winter’s Tale will include in its cast not only Mr Branagh but, more importantly for me, Dame Judi Dench. She is always wonderful to watch on stage and I’m sure this will delight many people during its run. So that’s the first six months of my theatre year in a nutshell. It’s now time to see what I’ll enjoy in the second half. One of the most thrilling things about being a regular theatregoer is never knowing what unexpected gems you’ll discover, whether an actor, writer, or play. See you at the end of the year for the final round up!